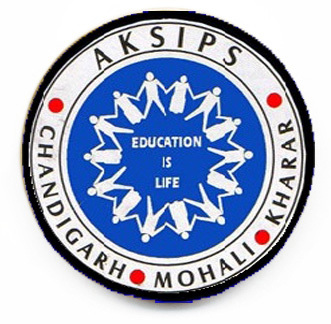 The students of class XII of AKSIPS 65 Smart School , Mohali came up with flying colours in the C.B.S.E Board Exam 2017-18. 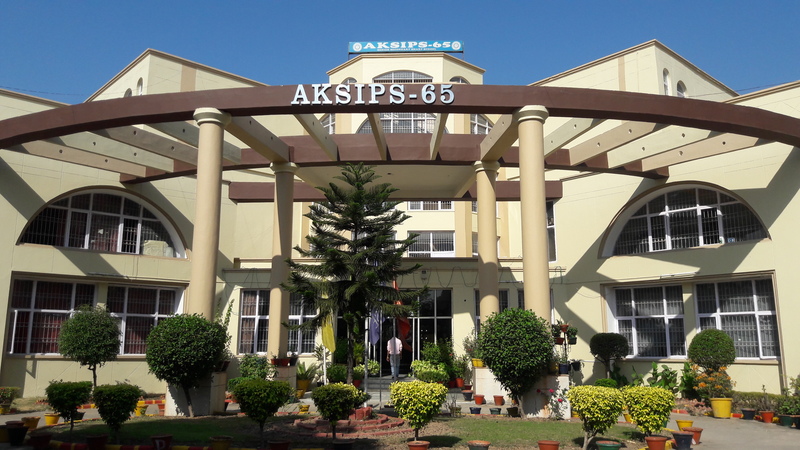 In medical stream, out of 19 students 18 students got the First division and above. The toppers Manpreet Kaur and Shelly Kamboj of Medical Stream scored 95% . 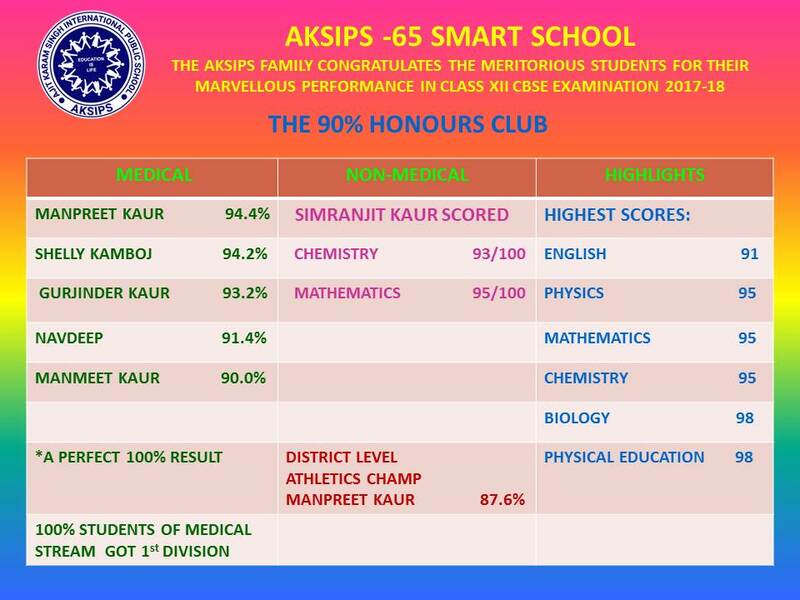 In Non-medical stream ,out of 5 students, 4 students got the first division and the topper Simranjit Kaur scored 87 %. In commerce stream all 7 students came up with flying colours.